This Volkswagen is considered a crossover-hatchback. 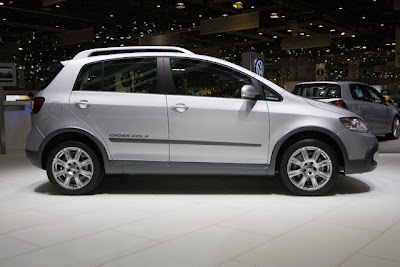 Thus, the Cross Golf is intended to compete against such small crossovers as the Toyota RAV4 and Honda CR-V. As a kind of compact SUV, a broad choice of engines are offered, including two gasoline and two diesel engine variants. Both diesels are equipped with a particulate filter. The TSI gas version features twin charging by both a supercharger and turbocharger. This, along with direct injection, gives this engine exceptionally high torque and excellent fuel economy.